If you are looking for a GDPR compliant WordPress theme, I can recommend you the theme that I’m using. I’m using it right on this blog, too. 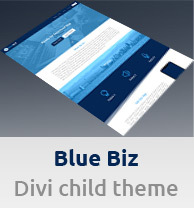 Its name is Divi and it is sold by the company called Elegant Themes. In order to use it, you will need to purchase an Elegant Themes membership. Together with Divi you will also get access to their other great premium plugins like Monarch and Bloom. The Bloom plugin, that is used for gaining new subscribers for your email list, has GDPR consent options as well (you can add GDPR compliance checkboxes to your forms). Note: I’m not stating here that you should use Divi if you want to make your WordPress website GDPR compliant. I’m neither a law expert. To be fully compliant with the new GDPR law, I would recommend you to have a consultation with an experienced lawyer. For more information about these GDPR features of the Divi theme, I recommend you to give a read to this article on the Elegant Themes blog. It explains it all very nicely. It is also possible to use Google Fonts with Divi in a way that you will upload your custom font file to the Divi Builder. So you won’t need to use the integration from Google. Aside from the GDPR features, I’d like to say that the Divi theme, together with its visual builder, is a great theme. I’m using it since 2014 for all my websites and my clients’ websites as well. For me, it’s the best premium WordPress theme available on the market. I really like its design and highly recommend it. Lastly, I’d like to say that the consent checkboxes may even be not necessary. Some bloggers say that they are not required (I’m still not sure if we should use them or not, it is a bit controversial), but for your confidence, if you want them, Divi has them available for you. It is also important to say that even if you are located outside of the European Union, but you have customers or website visitors from EU, this new law applies to you, too. If you are looking for GDPR compliant WordPress themes and plugins, I hope that this blog post will be helpful for you. Also, for a detailed step-by-step tutorial on how to add the consent checkboxes to your Divi contact forms and Bloom plugin optins, check out my other article. And I have a tutorial on how to add cookie consent notice bar to your WP website, too.